It’s not every scientist who writes books for people who can’t read. And how many scientists want their books to look as dog-eared as possible? But Pa­tricia Shanley, an ethnobotanist, wanted to give something back. After the poorest people of the Amazon allowed her to study their land and its ecology, she turned her research findings into a picture book that tells the local people how to get a good return on their trees without succumbing to the lure of a quick buck from a logging company. It has proved a big success. B Shanley’s work on the book began a decade ago, with a plea for help from the Rural Workers’ Union of Paragominas, a Brazilian town whose prosperity is based on exploitation of timber. The union realised that logging companies would soon be knocking on the doors of the caboclos, peasant farmers living on the Rio Capim, an Amazon tributary in the Brazilian state of Para. Isol­ated and illiterate, the caboclos would have little concept of the true value of their trees; communities downstream had already sold off large blocks of forest for a pittance. “What they wanted to know was how valuable the forests were,” recalls Shanley, then a researcher in the area for the Massa­chusetts-based Woods Hole Research Centre. C The Rural Workers’ Union wanted to know whether harvesting wild fruits would make economic sense in the Rio Capim. “There was a lot of interest in trading non-timber forest products (NTFPs),” Shanley says. At the time, environmental groups and green-minded businesses were promoting the idea. This was the view presented in a seminal paper, Valuation of an Ama­zonian Rainforest, published in Nature in 1989. The researchers had calcu­lated that revenues from the sale of fruits could far exceed those from a one- off sale of trees to loggers. “The union was keen to discover whether it made more sense conserving the forest for subsistence use and the possible sale of fruit, game and medicinal plants, than selling trees for timber,” says Shanley. Whether it would work for the caboclos was far from clear. D Although Shanley had been invited to work in the Rio Capim, some caboclos were suspicious. “When Patricia asked if she could study my forest,” says Joao Fernando Moreira Brito, "my neighbours said she was a foreigner who’d come to rob me of my trees." In the end, Moreira Brito, or Mangueira as he is known, welcomed Shanley and worked on her study. His land, an hour's walk from the Rio Capim, is almost entirely covered with primary forest. A study of this and other tracts of forest selected by the communities enabled Shanley to identify three trees, found throughout the Amazon, whose fruit was much favoured by the caboclos: bacuri (Platonia insignis), uxi (Endop- leura uchi) and piquia (Cayocas villosum). The caboclos used their fruits, extracted oils, and knew what sort of wildlife they attracted. But, in the face of aggressive tactics from the logging companies, they had no measure of the trees' financial worth. The only way to find out, Shanley decided, was to start from scratch with a scientific study. “From a scientific point of view, hardly anything was known about these trees,” she says. But six years of field research yielded a mass of data on their flowering and fruiting behaviour. During 1993 and 1994, 30 families weighed everything they used from the forest - game, fruit, fibre, medicinal plants - and documented its source. E After three logging sales and a major fire in 1997, the researchers were also able to study the ecosystem's reaction to logging and disturbance. They car­ried out a similar, though less exhaustive, study in 1999, this time with 15 families. The changes were striking. Average annual household consumption of forest fruit had fallen from 89 to 28 kilogrammes between 1993 and 1999. “What we found,” says Shanley, “was that fruit collection could coexist with a certain amount of logging, but after the forest fire it dropped dramatically.” Over the same period, fibre use also dropped from around 20 to 4 kilogrammes.The fire and logging also changed the nature of the caboclo diet. In 1993 most households ate game two or three times a month. By 1999 some were fortunate if they ate game more than two or three times a year. G As a result of these studies, Shanley had to tell the Rural Workers’ Union of Paragominas that the Nature thesis could not be applied wholesale to their community - harvesting NTFPs would not always yield more than timber sales. Fruiting patterns of trees such as uxi were unpredictable, for example. In 1994, one household collected 3,654 uxi fruits; the following year, none at all. H This is not to say that wild fruit trees were unimportant. On the contrary, argues Shanley, they are critical for subsistence, something that is often ig­nored in much of the current research on NTFPs, which tends to focus on their commercial potential. Geography was another factor preventing the Rio Capim caboclos from establishing a serious trade in wild fruit: villa­gers in remote areas could not compete with communities collecting NTFPs close to urban markets, although they could sell them to passing river boats. I But Shanley and her colleagues decided to do more than just report their results to the union. Together with two of her research colleagues, Shanley wrote the fruit book. This, the Bible and a publication on medicinal plants co-authored by Shanley and designed for people with minimal literacy skills are about the only books you will see along this stretch of the Rio Capim. 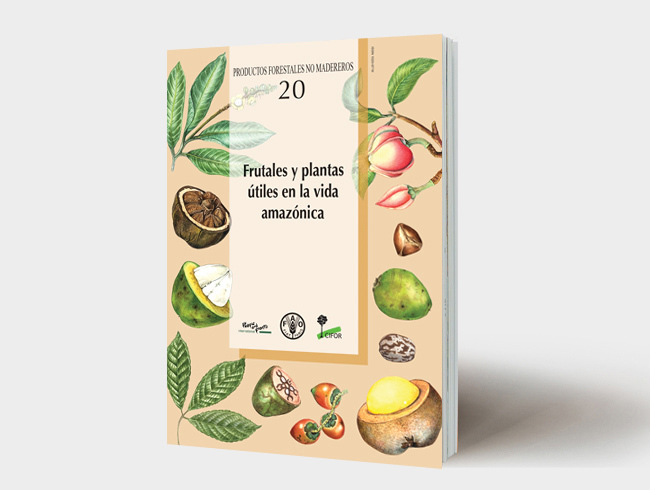 The first print ran to only 3,000 copies, but the fruit book has been remarkably influential, and is used by colleges, peasant unions, industries and the cabo­clos themselves.Its success is largely due to the fact that people with poor literacy skills can understand much of the information it contains about the non-timber forest products, thanks to its illustrations, anecdotes, stories and songs. “The book doesn’t tell people what to do,” says Shanley, “but it does provide them with choices.” The caboclos who have used the book now have a much better understanding of which trees to sell to the loggers, and which to protect. Reading Passage has nine paragraphs A-I. Write the correct letter A-I in boxes 1-6 on your answer sheet. Write your answers in boxes 7-14 on your answer sheet. Answer: subsistence Locate besides selling them to log­gers. But this is often ignored, because most researches usually focus on the 13 of the trees.